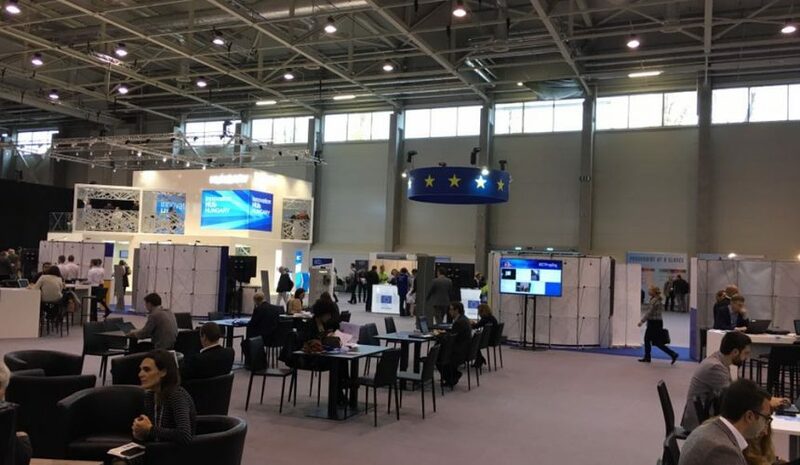 ICT Proposers' Days, organized by the European Commission, are dedicated to promote research and innovation in the field of information and communication technologies. The networking platform enables the discussion related to research results, new technologies and know-how with academia, research institutes, industrial stakeholders, SMEs and government actors from all over Europe. At the networking session there were presented almost 60 topics connected to digital innovation. Central topic points for DEX IC who attended the conference already for the seventh time, were applied ICT in health, energy, automotive and also broadband and security as innovation enablers. DEX IC focuses on innovative e-solutions especially those related to designing and managing prototyping process, living lab testing, large-scale pilots, and trials and has rich experience in managing involvement of end users to design development processes by UCD, UAT. In the field of research and innovation, DEX IC provides support for technology transfer and IP management and also has experts for dissemination, exploitation, and capitalization of research results. DEX IC concentrates on the field of entrepreneurship and business support by coaching start-ups in various phases of scaling-up and helps them getting funds for their innovative projects and products. DEX IC is a proud organizer of Start-up Europe Week in Liberec and starting own acceleration program there. For more information do not hesitate to contact Petra Mišáková, petra.misakova@dex-ic.com.